Lowering kit for Yamaha XSR 900 year models 2016-2017. Lowers the rear suspension and the seat height by approximately 1 inch. 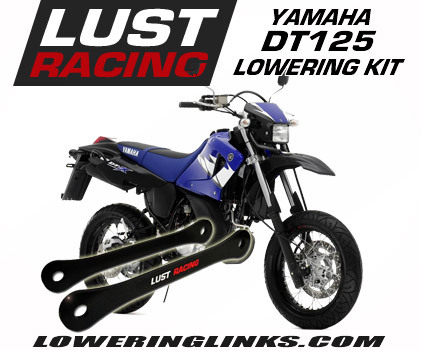 Replaces the standard tie-rods in the rear suspension with new lowering links from LUST Racing. High Quality aftermarket accessory for Yamaha XSR900 made in Europe. Excellent XSR 900 accessory recommended for shorter riders. 1″ inch lowering kit for the new Yamaha XSR 900. 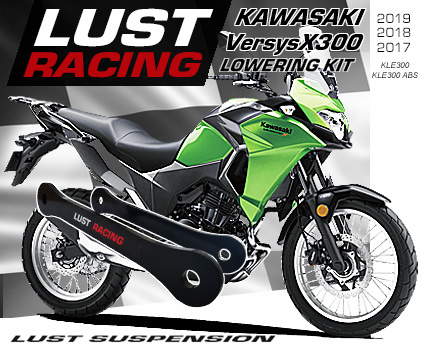 High quality lowering kit made in roll forged steel made in Europe by LUST Racing. This aftermarket accessory lowering kit lowers the rear suspension by replacement of the tie-rods in the rear suspension with new lowering ones and reduces the seat height by approximately 1 inch. Manufactured to exact tolerances for perfect fit. Finished in black powder coating with LUST Racing logo in red and silver chrome. The kit is supplied complete with installation instructions. Excellent accessory for shorter XSR 900 riders. 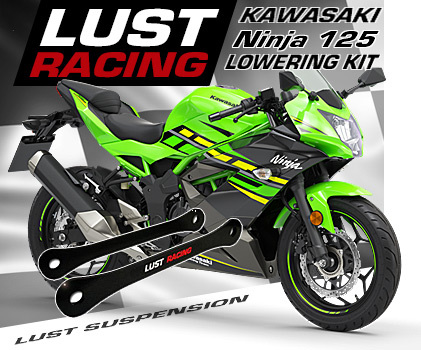 Why worry every time you come to a stop that you might drop the bike when the bike can be lowered easily with this high quality lowering kit. Reach the ground with both feet. This lowering kit will fit all Yamaha XSR900 models from 2016-2018. Lowers the seat height approximately 1″inch (25mm). 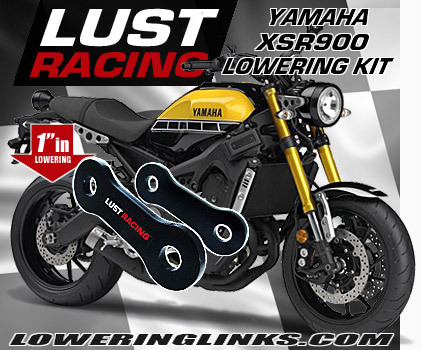 High quality lowering kit for Yamaha XSR900 from LUST Racing – Europe’s leading manufacturer of high quality motorcycle lowering kits. 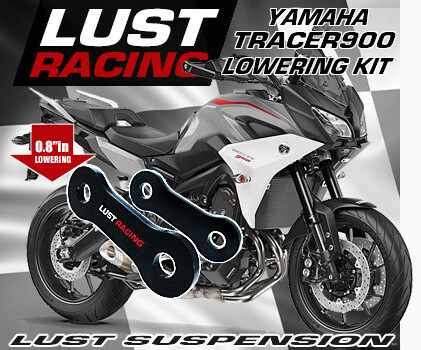 This high quality lowering kit will last the lifetime of your bike!